MILLEDGEVILLE, Ga., June 1 -- Former Representative Carl Vinson, who served in the House longer than anyone else and was a powerful proponent of military might, died early today. He was 97 years old. Molly Snead, Mr. Vinson's nurse for 34 years, said that he died at 5 A.M. at Baldwin County Medical Center. He suffered a heart attack a year ago and entered the hospital almost two weeks ago with heart problems, she said. They called Carl Vinson the Swamp Fox, a tribute to his canny flair for running the Pentagon from his seat in the United States House of Representatives. Admirals quaked and generals quavered when the tall Georgian called them before the House Armed Services Committee, which he ruled like a potentate for 14 of his 50 years in the House before retiring from Congress at the age of 81. Vowing on a cold December day in 1964 that he wanted to ''wear out, not rust out,'' he boarded a train for his hometown of Milledgeville, ending a Congressional career that began while President Woodrow Wilson was still learning his way around the White House. Despite the imperious manner in which he handled matters of the military, he was a man with simple personal tastes who dressed for comfort and shunned official parties. For all his frequent verbal jousting with military brass, there was a certain courtliness about the man as he questioned committee witnesses in his pronounced Southern drawl, glasses teetering on his big nose. ''Admuhl,'' he once asked Admiral Ernest King, chief of Naval Operations in World War II, ''what did you say your name is?'' His influence on the military, and particularly on the Navy, was pointed up in 1973, years after he left Congress, when the Navy announced that it would name a nuclear-powered aircraft carrier in his honor. The Carl Vinson was the first major Navy ship named after a person still living. The launching, Carl Vinson later said, was ''a fine way to celebrate my youthful age of 96.'' He was born near Milledgeville on Nov. 18, 1883. 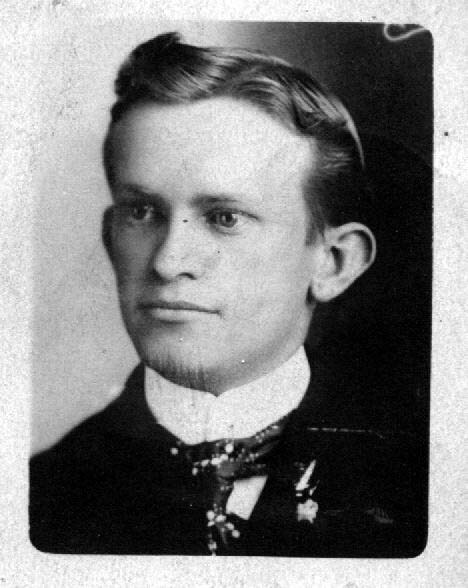 After attending Georgia Military College, he received his law degree from Mercer University in 1902. Before coming to Congress in 1914, he served as county prosecutor, county judge and member of the Georgia House of Representatives. He began making his mark on the military when he became chairman of the House Naval Affairs Committee in 1932. In his first term as chairman, he inaugurated a rebuilding and replacement program for the Navy that was to place the nation in a good position to rebound from the Pearl Harbor disaster in 1941. In those days, friends and colleagues called him ''Admiral.'' His domain expanded to embrace all of the armed services when, after World War II, the Military and Naval Affairs committees were merged into a single House Armed Services Committee of which he became chairman. Presidents never fazed him. He worked closely with three of them before they went to the White House: Franklin D. Roosevelt when he was an assistant secretary of the Navy; Dwight D. Eisenhower when he was an Army officer; and Lyndon Baines Johnson, who had served on the Vinson Naval Affairs Committee. In 1968, four years after leaving Congress, the old man was flown back to Washington on a Government plane for a White House party marking his 85th birthday. There, in the State Dining room, were gathered President and Mrs. Johnson and about 130 top military officials and members of Congress. ''Uncle Carl,'' said the President of Mr. Vinson, ''was my chairman, my tutor and my friend.'' Mr. Vinson's wife, the former Mary Green, was an invalid for many years before her death in 1950, while he was still a member of Congress. In his retirement years, Mr. Vinson divided his time between his 142-year-old house in the heart of Milledgeville and his farmhouse on a 600-acre estate on the Oconee River, four miles from town.